Consider how many people are using social media on a daily basis - it’s such a staple in modern living. Marketers can take full advantage of this audience by providing video content that resonates with them. When you’re ready to embark on a video marketing campaign, you will need to write a script and formulate a plan as to how and where you will share your content. One of the most common questions to arise in any video creation process is this: just how long should the video be? On Facebook, it is worthwhile to experiment with different video lengths and review your video marketing metrics to see what sparked the most interest. Results can vary across audience and content type. Your video distribution strategy should take into account what your buyer personas want to watch as well as where and when they would want to watch it. A Facebook video can be as long as 240 minutes. Shorter videos are more mobile-friendly and generally more popular. One minute is the time suggested by Hubspot research into video length and engagement rates. The average length of the most successful videos on Facebook feeds oscillates from 24 to 90 seconds. Facebook Stories are brief photo and video collections that disappear after 24 hours. These videos can be 20 seconds long. You can live stream on Facebook for up to 4 hours. Although there is no minimum length, it’s recommended that you broadcast for at least 10 minutes. Longer live videos attract more viewers by giving people adequate time to discover you and invite others to watch too. The time limit for a Facebook live is 4 hours. A cover video can be 20 - 90 seconds long. It loops automatically, so ask your editor to make sure the beginning and ending are nicely aligned. Instead of using a standard profile picture, you have the option to record or upload a video (or animated GIF). This clip can be up to 7 seconds long. When preparing your graphic, be wary of the file size, as this can effect page load times and bounce rates. Video can stop people in their tracks, and it’s just as popular on Twitter as other social media platforms. In fact, video tweets are six times more likely to be retweeted than photo tweets. Twitter users want to understand your point quickly, and this is reflected in the ideal video length for Twitter. Videos on Twitter need to be short, as users expect brevity from the platform. Twitter feed videos can be a maximum of 2 minutes and 20 seconds. However, Twitter’s #VideoOfTheDay averages out at 43 seconds. All videos posted to Twitter that are 6.5 seconds or shorter will automatically loop. You can also post live video on Twitter. These can be the same length as native video. Your live videos will automatically be posted as a Tweet whenever you go live. 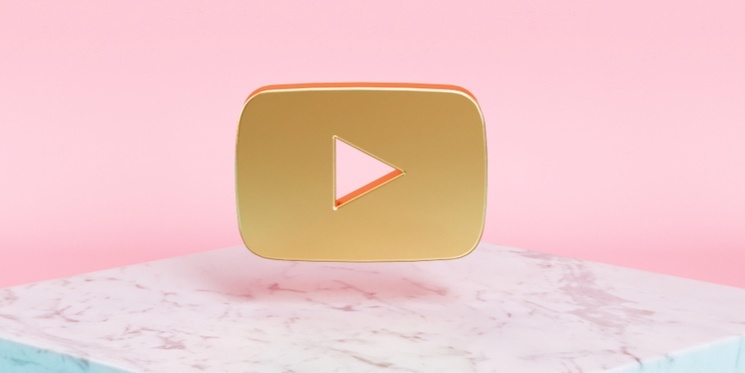 YouTube users have grown accustomed to viewing longer content on the platform. If you are hoping to share a longer message, for example, an explainer video or product demo, your website or YouTube channel may be the best option for your business. According to research, engagement peaked on videos that were 2 minutes long on average. YouTube doesn’t have any time restrictions for a live broadcast. LinkedIn was the latest social platform to allow users to upload native video. They introduced this feature in August 2017. LinkedIn suggests you keep videos ‘between 30 seconds and five minutes long’ in their published video best practices. LinkedIn users visit the site with networking and career progression firmly in mind - they’re not messing around. A professional video with valuable, detailed information will perform best on this platform - and that suggests a slightly longer video duration. Instagram has three video formats (regular video posts, stories and live video). Each has their own length requirements. Instagram video posts can be up to 60 seconds long. These video posts are jumbled in with the photo posts that are seen by users as they scroll down their feed. Your audience can see how long a video is by looking at the number in the upper right corner - this may influence their decision to watch. Typically, you will lose 33 per cent of viewers by the 30-second mark. The best performing Instagram video posts are short, inspiring and visually attractive. HubSpot data suggests that 26-second videos harvest the best engagement. You might be surprised to hear that 70 per cent of Instagrammers follow at least one business on the platform. Storytelling is a powerful way to connect with people. In a report shared by Instagram, over half of businesses published an Instagram story in the month that they reviewed. Additionally, a third of the most viewed stories were made by business profiles. According to Instagram, stories are increasing the amount of time spent on the platform. Story videos are shorter than in-feed video. An Instagram story can be a maximum of 15 seconds long. You can post as many video stories as you like - but make sure each snippet is worth viewing. Spamming your audience won’t make them any more likely to connect. Live videos are now popular with all of the leading platforms on social media. Instagram introduced live video to their platform last summer. Instagram live video can be as long as 1 hour. Although regular stories are capped at 15 seconds, you can post a more lengthy video through live streaming. After streaming, your video remains accessible through the Stories and Live menu. Note: both stories and live video replays have a lifespan of 24 hours, after which they will disappear from your feed and profile unless you add them as highlights. It is important that you consider your intended audience when making inbound video content for social media. The above video lengths are a good basis for you to work on, but bear in mind there is no perfect answer. You will need to consider your video in the context of its delivery to find the best length for social media video.